A new study suggests that the overwhelming majority of us believe our politicians are corrupt. Bitterly, the figures are trending in the wrong direction. A new study suggests that 85% of Australians believe most or all federal MPs are corrupt, which represents a 9% increase from just last year. The survey of Australian voters indicates that trust in all levels of government is down, with only 46% of respondents reporting they trust federal and state governments a “fair amount” or more. The results have renewed calls for a federal anti-corruption body – something which the coalition government continues to resist. 45.6% of the survey’s respondents reported they suspect government officials of having unexplained income beyond their public salary. Almost two-thirds said they suspected officials of using their position to benefit themselves or their family, and 56.3% saw or suspected officials make decisions to favour “a business or individual who gave them political donations or support”. These results come in the context of Australia having fallen six positions on the international Corruption Perception Index since 2012, down to 13th place. The study found that two-thirds of Australians support the creation of a federal Independent Commission Against Corruption (ICAC). It is also notable that support for a federal ICAC was strongest amongst those who had worked for the federal government, and that an earlier study suggested that a significant number of those in the public sector reported witnessing corruption first-hand. A survey of public officials in early 2018 found that 5% of public servants witnessed corrupt conduct in 2016-2017, representing a substantial increase on the 2.6% who reported witnessing such conduct in 2013-2014 and 3.6% in 2014-2015. Despite the figures, the coalition government has steadfastly refused calls to establish a federal corruption body. Commentators have likened that resistance to that against the Banking Royal Commission which, contrary to the government’s predictions, has uncovered widespread systematic fraud and other forms of misconduct amongst the nation’s financial institutions. While he was Deputy Prime Minister, Barnaby Joyce labelled a federal ICAC as “unnecessary” in Australia, claiming existing anti-corruption measures (whatever they may be) are sufficient. And while former Prime Minister Malcolm Turnbull took advice from a Senate select committee into a national integrity commission, he failed to act on recommendations for “…establishing a commonwealth agency with broad scope and jurisdiction to address integrity and corruption matters”. Labor leader Bill Shorten, on the other hand, has pledged to establish a federal ICAC, saying there is a need to properly investigate any potential corruption in politics and the public service. Mr Shorten proposed that the body would operate “as a standing royal commission into serious and systematic corruption”. He said the commission would have extensive powers and cost an estimated A$58.7 million, covering MPs and their staff, the Commonwealth judiciary, the Governor-General, Commonwealth public servants and statutory office holders, and businesses and people who transact with the Commonwealth. 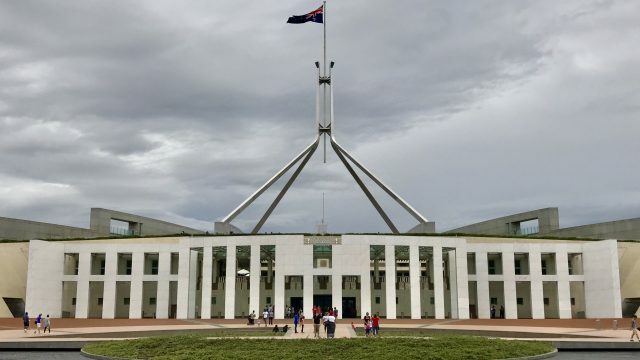 The federal Greens introduced a bill aimed at establishing such a body last year, and crossbenchers Derryn Hinch and the Nick Xenophon team have already indicated support for a commission. Earlier this year, however, Attorney-General Christian Porter rejected the proposal outright. “Powerful forces must be at work for the coalition to continue to delay backing such a popular measure,” Greens Senator Lee Rhiannon said at the time. A recent position paper by Griffith University has helpfully outlined how a federal corruption commission could specifically tackle a lack of governmental accountability and help restore the trust of the voting public. The paper found that current accountability mechanisms range from inadequate to non-existent, and that most strategic areas of corruption are left unsupervised – including law enforcement, where only a small number of agencies are guided by the Australian Commission for Law Enforcement Integrity. It found the enforcement of parliamentary and ministerial standards as inadequate, as well as the absence of “a clear overall gateway” to support whistleblowers. The paper calls for the introduction of a Commonwealth Integrity Commission. In the view of the researchers, a realistic estimate of the commission’s cost is about $110.8m per year. The researchers pointed out that this is a small amount of money in the scheme of things, lifting commonwealth expenditure on core public integrity agencies from 0.033% to 0.07%; and Australia’s total expenditure to 0.096%. The paper says this figure is roughly the same as the weakest Australian state jurisdiction and still much less than the amount New Zealand spends on anti-corruption measures. It argues this is a small price to pay to combat corruption and, at least in part, restore perceptions of integrity in government.